Moving from Edinburgh to Oxford? Here are some tips for you. The following might be of interest to you if you are moving from Edinburgh to Oxford. It’s only a wee introduction, but if you believe in serendipity, follow up some of the links and see where they take you! Say ‘Oxford’ and most people immediately think of the university. Indeed, this is an important part of Oxford’s present and past, just as Edinburgh University (and its other higher educational institutions) is important to Edinburgh. However, as with Edinburgh, there is a lot more to Oxford than its ‘gown’ side. If you haven’t heard of the phrases ‘town and gown’ or ‘town versus gown’, you should become familiar with them if you’re moving from Edinburgh to Oxford! It refers to the two big influences in Oxford (and some other university towns): the university element (‘gown’, because of the traditional academic garment worn by students and professors) and the non-university part, or ‘town’. As Wikipedia explains, the early relationship between these was adversarial: the university initially had no investment in bricks and mortar and so could up and leave if not offered cheap rent. The students from far and wide often spoke Latin and not the local dialect, and they also used to enjoy legal protection from the clergy, unlike the locals. 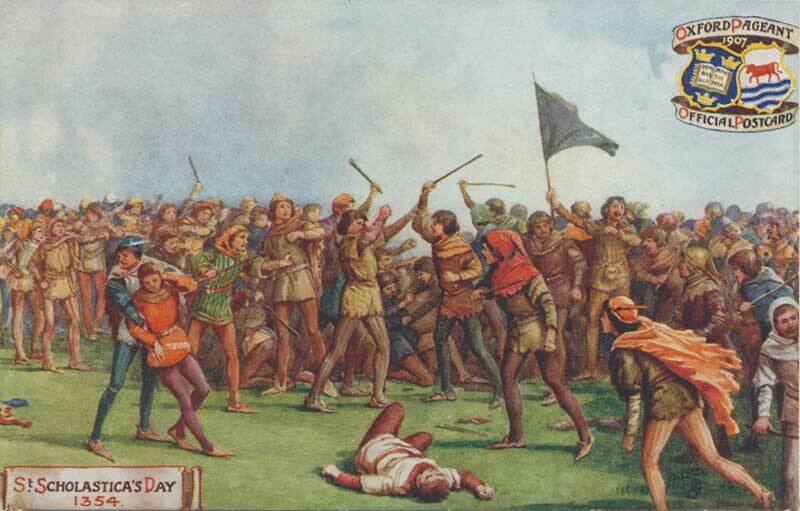 Tensions became so great that there was actually a town vs. gown battle in Oxford – the Battle of St. Scholastica Day, on 10 February 1355. Long before that, in 1209, a fight between the town and gown factions in Oxford had forced many scholars to flee, and the University of Cambridge was established! A resident’s website today has this criticism of Oxford: ‘…residents are third class citizens in their own town. The place is run firstly for the students, then for the tourists, and a long long way behind them is anyone who actually pays council tax.’ Ring any bells, Edinburgh folk? Don’t worry too much, though, to judge by the other things on that particular website, the author seems to hold fairly extreme views, so perhaps take this with a pinch of salt! To cut a long story short, while there may always be tensions between students and townsfolk to some extent, today the ‘town and gown’ phenomenon is more celebrated in Oxford, in the form of a 10K Town and Gown Run to raise money for charity, of which the ‘route is unique and scenic, which makes it perfect for all runners’, and ‘takes you along a City Centre closed-road route that finishes in the University Parks’. Unlike Edinburgh, there are no trams in Oxford. However, there are three main bus companies. The Council website has useful links to various public transport options. What To See And do in Oxford? If you’re moving from Edinburgh to Oxford, you might want to get to know your new home town by taking advantage of one of the many tours available. 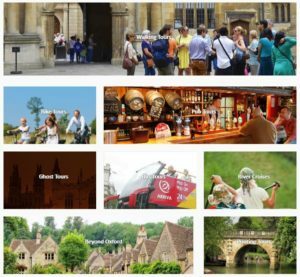 How about a free audio tour, or one of the many other options listed on the Oxford City Guide website? There are plenty of things suitable for children in Oxford, and amongst these, the botanical gardens. However, unlike its Edinburgh equivalent, be aware that the Oxford Botanic Garden and Arboretum, to give it its full name, is not free for adults. Moving from Edinburgh to Oxford and think you’ve escaped festivals? Think again! If you’re moving from Edinburgh to Oxford you might think that you’ll be escaping festival madness. OK, Oxford’s festivals don’t quite compare to Edinburgh’s but, all the same, there are plenty of them, and well spread throughout the year. You’ll find a list of them by month on the Daily Info website. The Town and Gown Run has already been mentioned (and is a sort of festival itself). To give you an idea of the huge range, below are just twelve of the many other interesting festivals drawn from the long list (one from each month, with the total number of festivals in each month in brackets after the month). 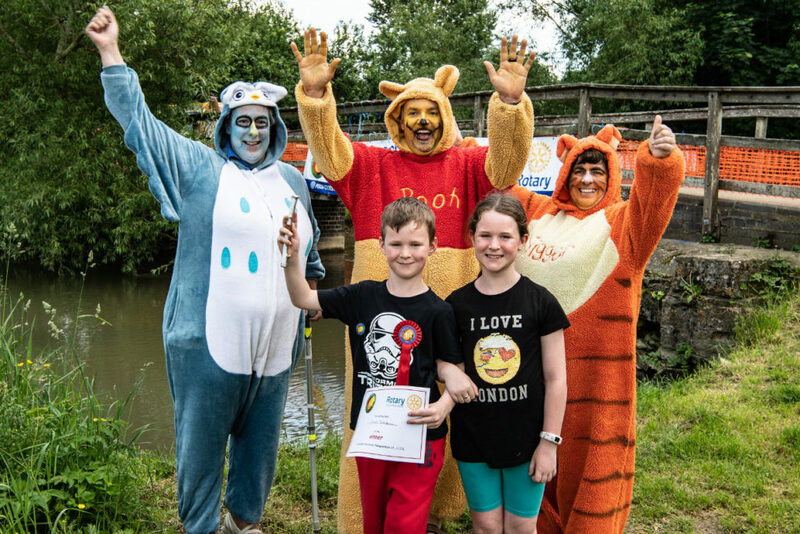 What could be more unique than June’s Poohsticks Championships? You can find Oxford restaurants of all sorts listed on TripAdvisor (Spiced Roots is particularly highly rated) and some interesting restaurants, cafés, etc., on the Oxford City Guide website. As far as unusual dining experiences go (in other words something you might not find in Edinburgh), The Culture Trip site includes, on its page titled ‘10 Unusual Things To Do In Oxford, England’, a recommendation for Atomic Burger. This is described as ‘a far cry from the traditional pubs and upscale restaurants located in the centre of town, […] a feast for the senses, […] plastered with sci-fi posters’. Apparently, ‘Thunderbird models hang from the ceiling, action figures peer out from corners and a screen at the back shows 80s music videos’. If you’re moving from Edinburgh to Oxford and have children you’ll be concerned about their education. With regard to finding good schools, you might want to start with the Good Schools Guide, which helps you find schools according to various parameters. If you’re moving from Edinburgh to Oxford, 1stMovers wishes you all the best! We’d love to help you move!